Sounding as gorgeous as it looks, the new 2018 Porsche Macan certainly belongs in the lineup found at our L.A.-area dealership. Defying class segments while providing the luxury feel you'd expect out of any ride at our Thousand Oaks, CA Porsche dealer serving Los Angeles, the new 2018 Macan is certainly worth checking out. Press play to see and hear the Macan in action, then visit us in the Los Angeles area today for a closer look and a quick test drive. Turbocharged performance is what you hear, and it's what makes the Macan, and the other new Porsche models found here, such a delightful luxury vehicle to drive. We'll make sure to go over your options so you can select the kinds of features you want to plug into your Macan, and from there, your travels will take you to some incredible places. 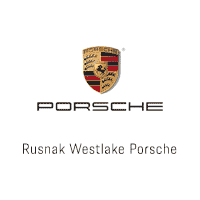 Head on over to Rusnak/Westlake Porsche today and see more of the gorgeous and stunning new 2018 Macan.